With the rise of the do it yourself wedding trend, it seems there are two camps: those who violently oppose DIY for weddings and those who are embracing the trend. The do it yourself wedding trend can be threatening to the wedding professional who charges full price and delivers a professional level product. Uneducated brides and grooms may be fooled into thinking they can get a professional quality product or service at a bargain cost by doing it themselves. If DIY wedding options are assumed to be the equivalent in service and quality to hiring a professional, it could seriously hurt a wedding business. DIY is NOT just about saving money. After the Recession, couples shifted their focus to products and services that bring a sense of meaning to the wedding. For many, doing some of the details themselves or involving guests in their day makes everything much more personal and meaningful. It’s hard to imagine a couple expecting to get the same quality video shot by their guests and quickly edited as they would by hiring a videographer with professional equipment to capture their day. For example, the couple interviewed in this video would never have hired a professional videographer, but they chose the Story Mix Media option. These are two entirely different products serving two entirely different markets. Thinking outside the box to serve the do it yourself wedding market can open up your services to new groups of people who would never have considered hiring you. If you can create both a DIY option and a full-service professional option for your wedding business (an idea the brilliant marketer Christine Boulton has often suggested) you can make money by serving BOTH markets. So DIY is on the rise. Do you think we should fight the trend or go with it? Leave a comment and tell us what you think! 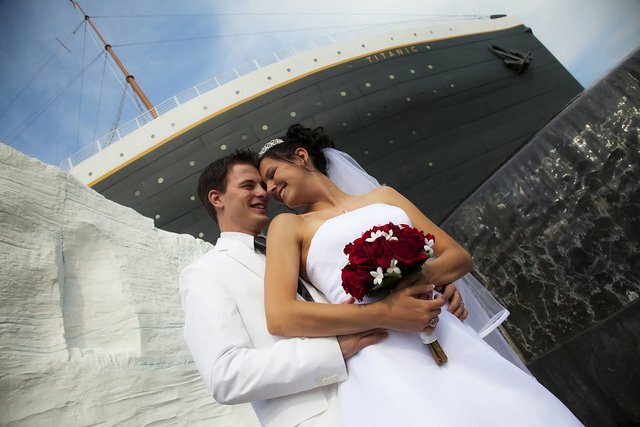 I don’t see any harm in the DIY wedding trend! My friend used Switchcam for her wedding video, and she loved the results! Especially since the majority of people are glued to their cell phones nowadays anyway, I’m sure guests would be happy to contribute to a DIY video. Not only was the Switchcam video more affordable for her, but guests were more engaged and involved in the wedding. I feel like this makes a couple’s special day even more meaningful to them if their loved ones participate. The footage may not be perfect, but family and friends were able to provide videos/photos that captured every angle or perspective of what’s happening. She also had a professional photographer who contributed some material. Using the professional and guest footage, Switchcam even created a professionally edited highlight video of the wedding — which balances out by serving both the professional and DIY markets! Basically this DIY trend is creative and interesting! If you visit make.switchcam.com, you can find out more about the Switchcam DIY wedding video service that my friend used too. Stephanie: Is there any evidence that DIY weddings are increasing? Is it a real trend? Is it here to stay or will it die off when the economy recovers? Anecdotal evidence (and my own experience) suggests that the DIY wedding trend is increasing. Surveys of wedding vendors taken by The Wedding Report also show an increase in do it yourself trends. However, DIY brides come in two kinds: 1) brides who want to save money by doing it themselves and 2) brides who want to add crafty, personal DIY touches, even though they have a decent budget. While an economic recovery will decrease the first type of DIY wedding, the second type isn’t financially motivated. The best question to ask: are YOUR ideal couples considering DIY options? If so, how can you satisfy those needs? Or how can you target a different market that isn’t into DIY? As the founder of DIY Weddings Magazine; a magazine that is written and created by brides for brides, my advice to wedding professionals is to embrace it and then charge for it! Wedding professionals can set themselves apart by offer this great service to couples. I get a lot of emails from brides about should they hiring professionals or taking it on by doing it themselves. My advice to brides is to pick the top 3 things that are most important and hire those individuals first. I always tell couples to NEVER leave the picture or video taking to anyone but a professional. This is one of the most important days of your life, so hiring a professional photographer is a must. DIY is not for everyone, but for some people who have a small and limited budget, I believe it’s important that we support their needs so that they can have a memorable wedding day. Absolutely! This is great advice. I know a florist who started holding classes to teach brides how to do DIY arrangements. At first you’d think that would mean she’d be losing clients. I’m in the middle for DIY weddings….I think there should be a balance…for example I’m making my own centerpieces instead of using the florist centerpieces offered but will use the florist to add and enhance my centerpieces! A DIY bride has to be realistic of what she can do and what needs to be done professionally..it’s nice to save money but in order to have a nice wedding where she is not stressing of every detail you still need a lot of professional help ….balance is key! Being a “not black or white, but gray” type of gal myself, I’m inclined to agree. It’s a reality we have to deal with, some up sides, some down; it’s all in what we do with it. Let’s keep in mind the purpose of the wedding – to join two hearts. The festivities are to celebrate that. IMHO there is no right or wrong way to go about it. If the couple wants a lavish event to go into the record books of their life, by all means use professionals to get the venue, food, photography, and all the trimmings. For a couple who wants an intimate affair, or a home-style wedding, it can be simple, they just need to have their expectations clear. I don’t do wedding planning; I marry couples and only ask that they are clear on what they are pledging to each other. My hope is that the vows aren’t forgotten or foreshadowed in the celebration. It’s a disturbing trend, DIY weddings are not good,(to put it lightly) but if you don’t have money I understand. Elaine Really? Your all about DIY weddings? When wedding officiates are also getting hit hard by DIY weddings too. Did you know anyone can get ordained on-line? I’ve seen many ceremonies officiated by friends, it’s terrible. I just recently overheard an officiant tell a couple to use an ipod instead of a DJ to save money. Was that you? I would never tell a couple to just use a friend for the ceremony. I think it is entirely dependant on the bride and groom and their abilities and skills. I made my own wedding invitations 4 years ago and everyone raved about them so much I gave up my events planning job and now run a successful individually designed and hand made wedding stationery company. I had some family members with some very posh cars so saved on hiring cars, a close friend is a professional chef and made my cake, another a professional photographer. I paid a lot for caterers, hiring a manor house, and posh cutlery, and glasses. I think it’s all about recognising yours and your guests’ strengths and weaknesses. A DIY option is available for my customers wanting to make their own invites and ‘save money’, but more often than not they come to me 3 months down the line wanting me to do them anyway, meaning that they pay twice for materials, and for my time, and usually end up sending them out late because of all the time they wasted! As an invitation designer, the DIY trend has hit this field particularly hard as well. Brides often inquire whether or not they can get custom invitation design suites with folds, pockets, ribbons, etc, all for the price of what a set from Michaels would cost. I pride myself on offering a high quality product at an accessible price, but I can’t match those DIY kit prices. I spoke to an invitation designer who offers a package only designing the invitation and the bride does the printing on her own. It’s a HUGE hit with DIY brides. Some of those DIY brides also become print customers when they figure out it isn’t as easy to print a beautiful invitation as they thought. It’s not a market for everyone, but it’s another option. Most of the couples who would try printing invitations themselves are okay with less than stellar results. They’re in a different market than the ones who firmly believe that a gorgeous invitation sets the tone for a wedding. It all depends on which market you’re working with. I’m always conflicted by this discussion. I wound up in this business partly because I was quite good at DIY! However, I know what I can and can’t do well. The same can’t be said for many of the clients I interview. I’m happy, even enthusiastic, about steering a bride toward creative, meaningful DIY elements of the wedding, but it’s very frustrating when a couple blithely assumes there is really nothing to taking on jobs best left to professionals. And, unfortunately, there are no do-overs after the big day! Any business that thinks they can fight a trend like DIY weddings is in for a tough time. Cutomer wants and needs shift all the time in any industry. You have to decide how you will address it. But you can’t ignore it. Change isn’t always fun, but it’s inevitable. When it comes down to it, as long as we can make money by doing what we love to create the life we want, does it matter whether some of those services work for the DIY crowd or not? Thanks for sharing, Elaine! It’s good to know that it’s not ALL bad. Elaine is OK with it because no one can have a DIY officiant to get legally married. Not knocking her opinion as we all have one but the DIY people think they can do better than a professional and think it turns out great until they see what a real professional does. Stephanie is a prime example as she was a DIY person. When we got married we were very new in the business and we did not hire a pro photographer. Instead we had an amateur friend take photos. We didn’t get even one photo of Jeff’s mom (yikes! )and we STILL don’t have an album…10 years later. It’s not easy to warn brides of the dangers of hiring an amateur right off the bat because it sounds like a sales pitch. However, if you can get real brides who had a bad experience (like me) to share their stories, it’s much more likely to influence them. I do not recommend having the guests getting involved in the actual wedding/reception, i.e. taking pictures with automatic cameras. It is their time to relax and celebrate the couple’s nuptials. I do, however, believe in working with photographers that add an extra value. I work with one in particular who has an amazing website, takes hundreds of pictures and is very reasonable. I offer his services to all of my brides if they do not already have a photographer. As with every consultation I do, I have resources to offer my couples in every price range. I am not only an officiant but someone who also consults my couples on vendors, venues, photographers, etc. — only if they need the info. It’s a win/win situation for me because my couples get a recommendation for a vendor that I have worked with over and over and my preferred vendor gets the business. I actually do not get anything for doing this other than the fact that I have helped a couple with their planning. Well, this sets back professional wedding videography about 10 years or so. The perception that wedding videography can still be done by Uncle Bob is frustrating to those who are capturing the wedding day in a professional capacity. And to make a blanket statement that wedding videographers are all impersonal is like saying that all news reporting is biased. I do understand the desire for DIY projects, but something as important as wedding day memories? Photography costs much more than videography, yet I don’t see DIY photography with a bunch of point and shoot cameras put in the hands of the guests. Yep, this is the “dark side” of wedding DIY. Some couples will (mistakenly) think that can get the same results doing it themselves that they’d get by hiring a professional. I think that these cases are the rarity, though. Most couples considering pro video value the end result they get too much to entrust it to their (drunk) guests. I actually [i]have[/i] seen weddings where the guests were asked to be the photographers! The couple decides NOT to hire a pro and instead gives their guests disposable cameras and asks them to share the photos from their cameras on a Flickr page. You don’t have to be a wedding insider like us to know that the results were NOT good. At most, they had a few decent pictures. Unfortunately, not all couples see the value professional photo and video…until the wedding is over. Our best bet is to focus on the ones who do get it and let the rest go. They’re not our clients anyway.